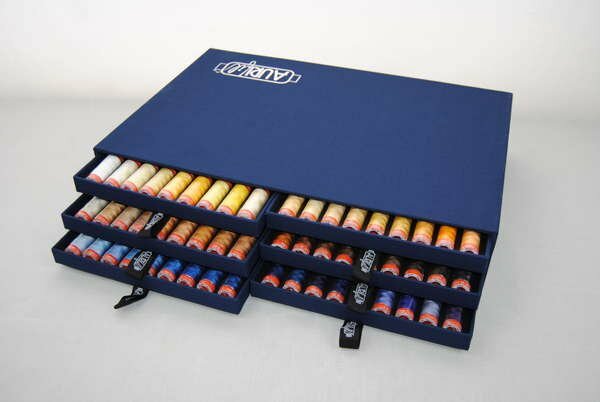 Aurifil 50 weight Cotton 270 Spool Collection contains every color of 2-ply Mako Cotton Quilting Thread in a beautiful carrying case. 270 220 yard / 200 meter spools. 234 Solid and 36 Variegated Colors. This set would cost over $1340 if bought separately, and you wouldn't get the case, either! May take an extra 48 hours to ship.